Last month, the London Market Group published the first tranche of data on the take-up of the electronic trading service provided by Placing Platform Limited (PPL) by insurance carriers. This showed 16% of in scope risks being placed – encouraging progress towards the Q2 target of 20% of risk being bound electronically. One business in fact reported that they were placing 75%. At the same time, July saw a new record for the number of brokers signed up to PPL and volumes at approximately three times the level that they were at this point in 2017. To my mind, this all demonstrates undeniable and unstoppable momentum behind the development of the world’s first digital marketplace for specialty insurance here in London. All of which is the sort of esoteric positive-speak that you could have come to expect from the likes of me when talking about PPL – not that I don’t stand by everything I say in that paragraph. But I had the opportunity to get a more grass roots insight into the benefits and potential of electronic trading when visiting one of our members this week. Integro joined PPL in May and since then they have seen it work for them very rapidly. They have begun their implementation with their Entertainments and Sports division – a class of business where there is a tendency towards constant change, late orders, last minute amendments and cancellations. So, speed is of the essence. What they are seeing is that the completion of a slip at firm order that typically took about a week in the paper world, is now taking a day. And, with that time saving, clients are getting evidence of cover on time. They have also had one endorsement agreed within four minutes – although I have another member who is claiming the record at 68 seconds and a third that is determined to break that. Clearly the four-minute endorsement is now about as iconic a challenge as the four-minute mile. This new speed of client service is also reflected in the fact that broking staff are now clearly focussed on the key stages of negotiation and are no longer the maintainers of document versions. Everything administrative and non-contentious can be processed remotely and by someone else. The base level advantages of just using computers to support the market’s main transaction are already apparent. And once we get there across all LIIBA’s members, the potential to evolve PPL to create an increasingly refined digital solution is enormous. 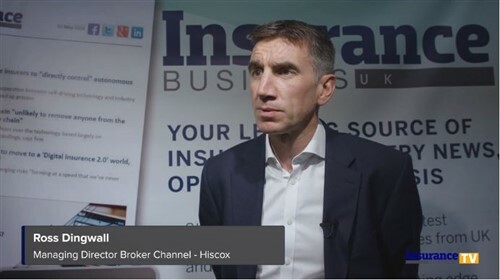 Integro themselves would point to some areas where the platform could do better – and, as Bronek Masojada, CEO of Hiscox and Chairman of PPL Ltd, is at pains to point out, no-one is saying the system is perfect. But the first online banking system was a shadow of what it is today and even iPads have evolved significantly. Integro has reached the belief that there is a need for more management information around endorsement response times and that the user interface could be consistent across the firm order and endorsement functions. These conclusions have only been reached because they have had people using the system in earnest to process live business. One of the key reasons we at LIIBA are working so hard to get our full membership signed up to the platform is that we want all of them to contribute to this process of identifying the ongoing improvements PPL can make. It is only when people are actively engaging with it that they can tell us how to make it better. That is how we will continue, as a market, to deliver the right solution. The strategic leaps forward that digital trading can deliver for our market are genuine and there to be uncovered. But the first stop on that path is for us all to start using computers. PPL, as it stands, is the right tool for right now and, as Integro is showing, it can make London’s already world class customer service even better. But that also sets us on route for further staging posts – informing the development plan that will see PPL evolve. The platform today is unrecognisable from that which we launched in 2016. In two years’ time it will be different again. We will get there by testing the tool in the crucible of live usage. PPL is letting the market live the digital revolution, where that might take us, is a world of infinite possibility.